The company figures if it can build cars, it can make robot suits. Exoskeletons are nothing new. You put one on and become a low-level Iron Man, able to lift items that would normally snap your spine. 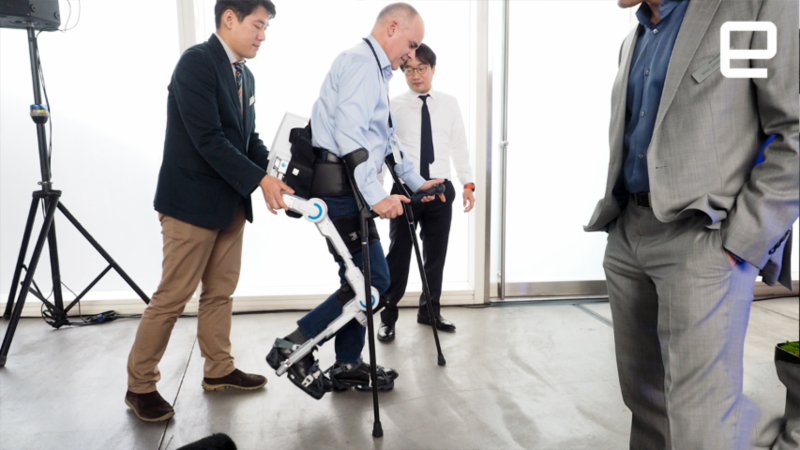 The drawback is they can be prohibitively expensive, but Hyundai thinks it can lower the cost of these exosuits that not only give us the ability to lift more, but can also help disabled people walk once again. 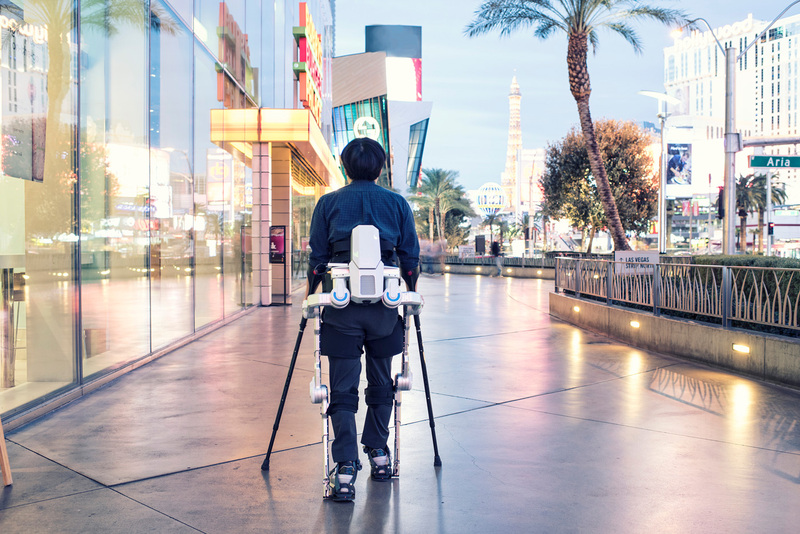 In Las Vegas last week, the automaker showed off two of its exoskeleton prototypes at a private media event: the H-Wex for industrial lifting and the H-Mex for helping disabled people walk. Both were available for demo, and though I found lifting items with the H-Wex to be less taxing on my back, it's the H-Mex that has the potential to make a real difference for those who would be able to purchase one. In its current form, the H-Mex only fits folks between 5 foot 6 and 5 foot 10. I'm 6 foot 3, so I didn't get a chance to feel what it's like to have an exoskeleton walk for me. Those who did try it out required a pretty thorough tutorial. It turns out, not using your own legs to walk isn't as easy as you might think because it goes against an entire lifetime of training. Once they were able to give up control to the H-Mex, those trying out the product would use crutches not only for extra balance, but to set their legs into motion. One button would move the left leg forward, and the other would move the right. There are also buttons for sitting down, standing up and walking up and down stairs. It's like a game controller for getting around. From viewing the demos, it's clear there's a learning curve for H-Mex. Plus, there's a good chance some of the controls will be fine-tuned so you don't accidentally hit the sit button when you meant to hit the left leg button. (That actually happened.) 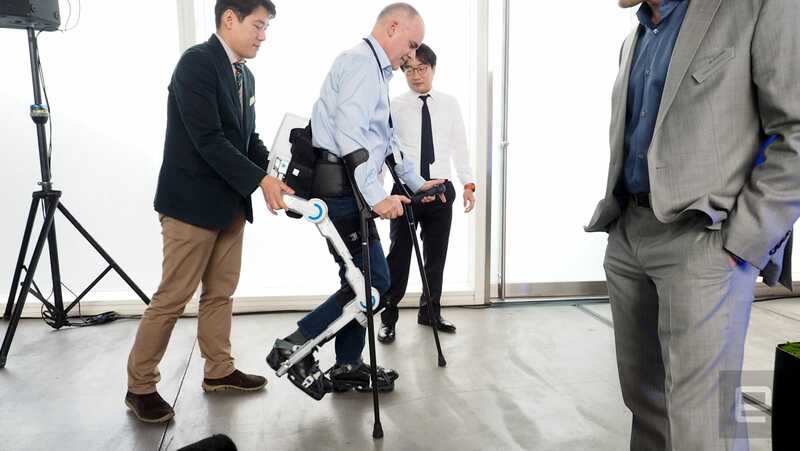 But the potential for helping people walk again is amazing, and Hyundai believes it can do it at a lower cost than niche companies. "From a business perspective, there's a strong alignment between making a mobility robot and automobile," said Tae Won Lim, senior vice president of Hyundai central advance research and engineering. In other words, they have the factories, so why not build exoskeletons cheaper than everyone else? But so far, no word on what those prices would be, though the company is already well on its way to getting these out into the real world. Hyundai is working on acquiring medical certifications in both Korea and the United States for the H-Mex in 2018. It'll then start deploying demo units in 2019 and 2020 to see how patients and workers react to the exoskeletons. My experience with the H-Wex reminded me of my high school days, working on the school farm lifting and moving 50-pound bags of feed and bales of hay. It was repetitive, backbreaking work. The exoskeleton on my back would have made that job far easier. 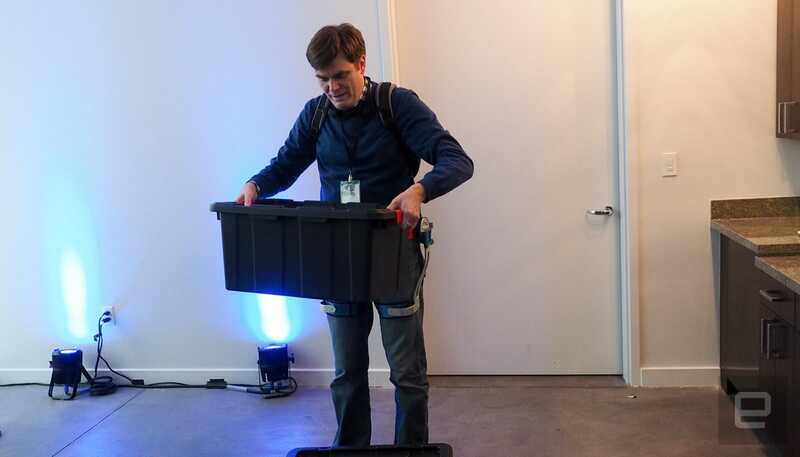 It felt like there was a spring in my spine, and it made lifting the 40-pound demo box less taxing. Those with back problems who demoed the H-Wex were even more impressed. Hyundai might currently be known for economy cars, but in the future, it could be a company we associate with making manual labor less taxing and giving disabled people another chance to walk.